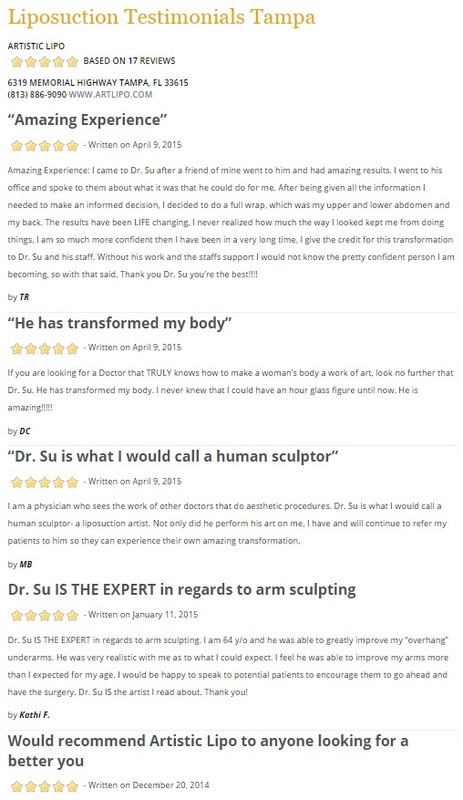 Why Choose Dr. Su at Artistic Liposculpting Center? All We Do is Liposuction at Artistic Liposculpting Center in Tampa. We have perfected the art of liposuction. This is the only procedure we perform. Dr. Su’s years of experience, professionalism, training and education makes him one of the country’s most renowned liposuction expert. 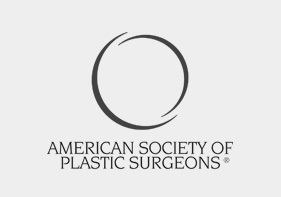 Our focus is on providing the highest quality of liposuction to our patients. 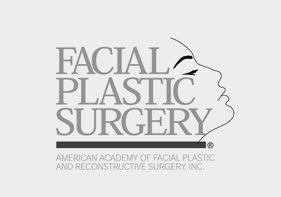 We believe our patients deserve excellent personal attention and service as well as the best possible cosmetic results. Dr. Su has perfected the art of liposuction, making him a true master in body contouring. 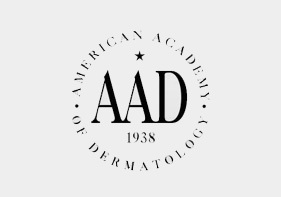 Using the latest techniques and developments in liposuction, the results of his work are smoother skin, quick recovery and lasting results. Dr. Su is one of the most experienced liposuction doctors in the Tampa Bay area, treating on average 40 liposuction patients a month. His excellent results and happy patients speak for themselves. In a day and age where the focus and hype often go to the newest technology (i.e. lasers, aqua lipo). Dr. Su instead focuses on the most important thing, which is ARTISTRY! He has a very distinct advantage in this area, having been an artist since he was a teen, and having completed a B.A. in Fine Arts, concentrating on figure drawing and sculpting. The artistic background is the basis for Dr. Su’s passion in his work. His artistic ability and skills also set him apart from most of his colleagues, since liposuction requires above all else a keen ability to “sculpt”. For those seeking to reshape their body through liposuction there is no better place in Tampa Bay than Artistic Liposculpting Center. Bad liposuction can result in dangerous bleeding, lumpy skin, extreme soreness and long recovery time. You don’t want to take any risks by consulting just any liposuction plastic surgeon. Complete our online form and to schedule your consultation and see why our clients come to us for liposuction and tummy tuck in Tampa. 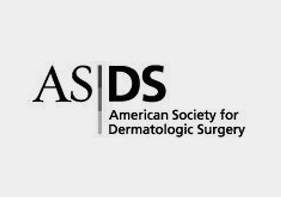 Dr. Su is one of the few doctors in the United States who specializes in revision liposculpture. 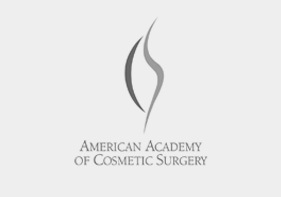 Revision surgery is the process of going back and treating a patient who’s had liposuction before, improving upon the results of the prior procedure. About twenty percent of the patients that come to see him for a consultation have had previous liposuction. Usually they are very disappointed with the results from a previous surgery. The patients are unhappy because the previous surgeon did not take enough fat. They left them lumpy and bumpy or too much fat was removed causing divots. Revision and corrective surgery is much more difficult and takes very specialized techniques and a high level of skill. Dr. Su has honed that skill. Liposuction is a relatively new procedure in medicine developed in the 1970’s, but it currently ranks as the #1 sought after cosmetic procedure over the past few years. The reason it is so popular is because it has the ability to slim almost any area to suction and remove fat from between the skin and muscle found on almost every area of the entire body. Liposuction removes fat in specific areas of the body without a long, complicated recovery. We use a new technique that uses local anesthesia, thus eliminating the risk of complications that are associated with general anesthesia. This procedure is called Tumescent Liposuction and it minimizes the bruises and the risk of bleeding following a liposuction procedure. The best part is that patients can return to their normal activity in 1-2 days. The way to know if you are a good candidate for liposuction depends on whether there is enough fat that can be removed from your body along with your overall health. The best candidate for a liposuction procedure in Tampa is someone who has fat that cannot easily be rid of with diet and exercise.It is very important to mention that liposuction only removes small and localized fat. If you expect to have a drastic change in your appearance, you may be disappointed. The perfect candidate for this procedure is a person with a healthy weight and who is interested only in contouring their body.